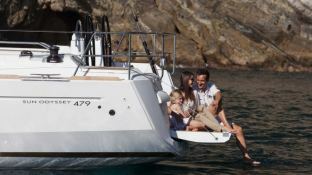 The Sun Odyssey 479 will surprise you both by its capacities at sea and by its comfort on board whether you are hiring in Sicily for sailing in the Aeolian Islands or Sardinia and sailing to the Magdalena Islands. 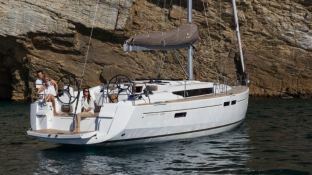 Situated in Olbia, Sardinia, this Sun Odyssey 479 (4 double cabins), built in 2017 by Jeanneau, is capable of hosting up to 10 pax. Further more, and for a better bareboat charter experience, Sun Odyssey 479 is equipped with bow thruster, electronic on board, equipped galley and also CD. 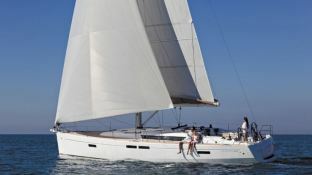 Special offer: this sailing yacht is available for charter from July 27 to August 10 with a special discount of 20%.